Tracey will be the subject of an upcoming episode of The South Bank Show this November! 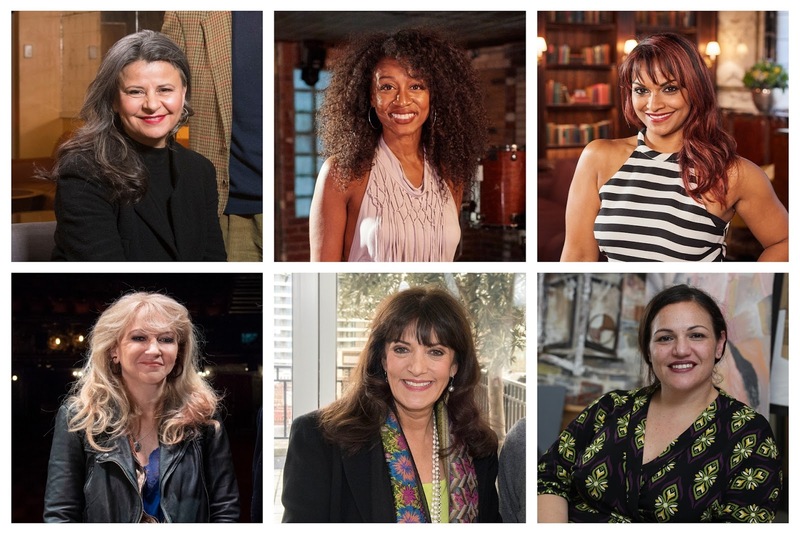 The South Bank Show returns to Sky Arts this November with a sensational line-up of exclusive interviews, showcasing six brilliant women from across the arts: comedian Tracey Ullman, soul singer Beverley Knight, opera star Danielle de Niese, theatre producer Sonia Friedman, publishing powerhouse Gail Rebuck and a special show highlighting the importance of the arts in education, featuring 2018 Global Teacher Prize winner, Andria Zafirakou. Highlights from the series include an exclusive interview with Tracey Ullman , one of the most important women in the history of British comedy. A ground-breaking and versatile performer, she has been a key figure in challenging the male-dominated status quo as one of the first female comedians to emerge during the 1980s; redefining the role of women in comedy ever since. Over a 30-year career, she has won multiple awards, including a BAFTA, seven Emmys®, 12 American Comedy Awards and a Golden Globe®. Melvyn talks to Tracey in depth about her remarkable career, going behind the scenes of her latest BBC series, Tracey Breaks the News. The show also features interviews with Sir Lenny Henry, Meryl Streep, James L Brooks and Tracey’s daughter, Mabel McKeown. TX date: Wednesday 7 November, 10pm on Sky Arts and NOW TV. Beverley Knight has sold over a million albums in the UK in a career spanning two decades and is widely considered to be one of the UK’s most successful singers. Since her initial success in the 90s, Beverley has recently branched into musical theatre, with roles in productions such as Cats! and The Bodyguard, she has scored major hits with singles Made It Back, Greatest Day and Shoulda, Woulda, Coulda. Melvyn joins her working on new material with Guy Chambers and the upcoming hip-hop musical Sylvia at The Old Vic. The episode explores her experiences of racism growing up in Wolverhampton as the child of Windrush parents and her first steps in the music industry, inspired partly by a chance childhood meeting with 80s soul star Jaki Graham. TX date: Wednesday 14 November, 10pm on Sky Arts and NOW TV. Danielle de Niese is a world-renowned soprano who came to prominence when she played Cleopatra in David McVicar’s production of Giulio Cesare at Glyndebourne Festival Opera in 2005. The hugely influential production drew on Danielle’s talent as a dancer and actor as well as her vocal abilities, a multi-skilled approach she’s since brought to roles at many of the world’s finest opera houses. Melvyn talks to Danielle about her revolutionary approach to opera and also discusses her Sri Lankan heritage and her upbringing in Australia, where she became the youngest winner of popular TV show Young Talent Time , and Los Angeles, where the family moved when Danielle was 10 so she could continue her training. This episode of The South Bank Show also features interviews with David McVicar, Danielle’s parents and Dame Kiri Te Kanawa. TX date: Wednesday 21 November, 10pm on Sky Arts and NOW TV. Sonia Friedman is a multi-award winning theatre producer who, in the past 20 years, has been unrivalled in her success of bringing new work to the West End with productions such as Harry Potter and the Cursed Child, The Ferryman, and Jerusalem to name but a few. Born in London into an extraordinarily creative family, Sonia began working in the theatre in her teens. By her early 20s, she was already producing national tours and by the middle of the 90s she had broken into the West End. Melvyn follows Sonia from her sell-out production of Harry Potter and the Cursed Child in London to Broadway where, this summer, she is due to have five shows running simultaneously. They examine the shows that worked – and ones that didn’t – as well as the risks of bringing new work to the West End. TX date: Wednesday 28 November, 10pm on Sky Arts and NOW TV. Gail Rebuck has been the most powerful woman in British publishing for three decades, holding the posts of Chief Executive and Chair of Random House UK for 22 years. A trailblazer for women in British publishing, she was not yet 30 when she was invited to become a founding director of Century Publishing. Noted not just for her commercial flair, she has also nurtured the careers of many authors as well as helping Random House UK (now Penguin Random House UK) to prosper in the new digital economy. Melvyn charts Gail’s life and achievements while also considering the various revolutions which have taken place in the publishing world during her career, not least for women in the industry. The show also includes contributions from Nigella Lawson and Robert Harris. TX date: Wednesday 5 December, 10pm on Sky Arts and NOW TV. Why the Arts Matter emphasises how the arts are vitally important for the UK’s education system and to its economy. Since 2010, there has been a 28% drop in pupils taking arts GCSEs, with a corresponding drop in the number of specialist teachers being trained. To discuss and underline its importance, the show features some of the UK’s leading figures from the arts, who are tackling this issue in secondary schools head-on: musical theatre pioneer Andrew Lloyd Webber, award-winning music composer Howard Goodall, Director of The National Theatre Rufus Norris, Artistic Director at the English National Ballet Tamara Rojo, classical violinist Nicola Benedetti and comedian and actor Lenny Henry. The film focuses on the 2018 Global Teacher Prize winner, Andria Zafirakou, and her work in a London school which serves a depressed area. Alperton Community School has been utterly transformed by her work in the arts and the effect this has had on everything else in the school’s life. The film demonstrates how the arts are unique in unlocking the potential of students, how they can inspire them and how they can increase their confidence. TX date: Wednesday 12 December, 10pm on Sky Arts and NOW TV. The South Bank Show is part of the portfolio of South Bank content on Sky Arts produced by Directors Cut Productions, which includes The South Bank Sky Arts Awards, the only awards ceremony in the world to represent the entire spectrum of the arts, and The South Bank Show Originals, featuring famous past episodes with added footage and extra interviews and contributors. The South Bank Show is the longest-running and most well-respected Arts programme on British television. We have been making films about some of the most talented and eclectic artists in the world for over 40 years, ranging right across the genre of the Arts to include all aspects of the creative spectrum, from Opera to Film, Comedy to Visual Art, Television Drama to Dance, Theatre to Pop Music and Literature to Classical Music. A selection of the artists we have interviewed and profiled includes Paul McCartney, Peter Blake, Norman Foster, Frank Lloyd White, Francis Ford Coppolla, Tracey Emin, Yinka Shonibare MBE, Eric Clapton, Benjamin Clementine, Martin Scorsese, Steven Spielberg, Amma Asante, Laurence Olivier, Annie Liebowitz, George Michael, Harold Pinter… to name but a few! The South Bank Show transmits on Sky Arts and the current series will begin broadcasting in November 2018. Sky is Europe’s leading entertainment company, serving 23 million customers across seven countries – UK, Ireland, Germany, Austria, Italy, Spain and Switzerland. The company had annual reported revenues of £12.9 billion in 2016/17, and is Europe’s leading investor in television content with an annual programming spend of around £7 billion. Sky has over 31,000 employees and is listed as one of The Times Top 50 employers for women, as well as being recognised in the Stonewall list of Top 50 LGBT-inclusive employers. Sky is listed on the London Stock Exchange (SKY). Directors Cut Productions is an independent television production company based in Central London. Set up in 2010 by Melvyn Bragg and Cathy Haslam, who had worked together for 10 years at ITV, the company produces Arts and History Documentaries for UK television broadcasters. Directors Cut Productions produce all South Bank Show branded programmes for Sky Arts as well as producing The South Bank Sky Arts Awards.